Every year, BCM trains and equips students with leadership skills useful for any occupation or ambition. This team takes the truth of God’s love for humanity, and makes it tangible for the Sheridan College campus. Apply to join our leadership team and make a difference through this ministry. 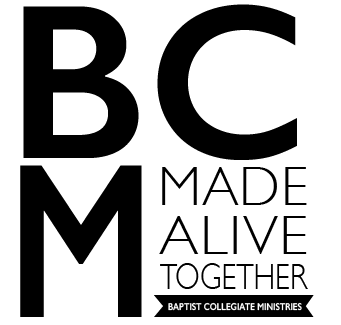 This year, BCM is forming a team of people who loves to sing praises to God and lead others in doing so. If you can play an instrument/sing/bang-two-spoons-together/run technology and would like to use this talent in musical worship ministry, PLEASE post below or contact Shane Rosty: 307-752-6058, srosty@gmail.com. If you love Jesus, enjoy spending time with Junior High and High school students, and want to help them love Jesus in a deeper way, there are opportunities out there for you! BCM partners with both Fellowship of Christian Athletes at Sheridan Junior High and KLIFE (an after-school discipleship ministry). These partnerships exist to equip college students to mentor and impact the lives of young people in our community. Help a student start his or her journey with Jesus and be encouraged in that faith. Contact Becky Rosty to get involved: 307-259-1316, beckyrosty@gmail.com. We are looking for someone passionate to help people in a behind-the-scene’s way. If you have a drive for helping, we need you! God’s work through service-minded individuals is an incredible way that He shares His love. Contact us and we’ll work together to clean a highway, pass out water bottles for a sports event, reconstruct a home, make soup or cookies for the homeless, rake a yard or two, shovel some snow, etc. We need your unique ideas and drive for this ministry. Contact bcmofsc@gmail.com to make a difference! People like to know what is going on at BCM, and a picture is worth a thousand words…. interested in helping out? Contact us at bcmofsc@gmail.com! Still haven’t found a niche? How about helping with service projects? Taking care of babies in a nursery ministry? Running sound/tech for worship services? There are lots of opportunities like these to serve God and people in this community… just join a local church and tell them what God is doing in your life. See our “Local Churches” page for ideas on where to start!